Hey everyone. 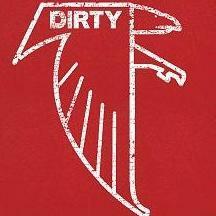 I live in the Florida panhandle and don’t get a lot of chances to talk Falcons. I’d welcome any interaction. Add me on Twitter @LWOSAaronW and hit me up. I decided to start writing this season to fill the void of living near other fans. I’m psyched for the season and cautiously optimistic. Looking forward to watching the best of roster we’ve ever had.